She recently collaborated with an artist from Argentina and her song “The Other Side” is being played on radio stations across Latin America.She is an incredibly diverse singer and songwriter, with a wide range of influences that show in her writing and unique tone of voice. A captivating and magnetic songwriter, she pulls you in with her truthful and honest lyrics. She has a deep passion for healing through music and many call her an angel when they hear her voice. 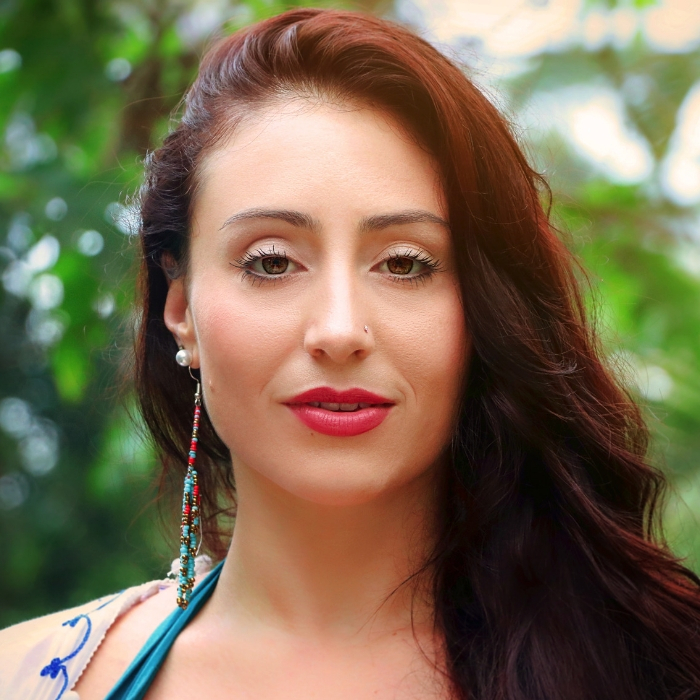 Larisa also provides Transformational Vocal Coaching Programs, called “Vocal Remembrance” where she fuses her years of professional experience and training, hypnotherapy, sound healing, and coaching into one program designed to empower others to have a strong, joyous, and loving relationship with their vocal expression.